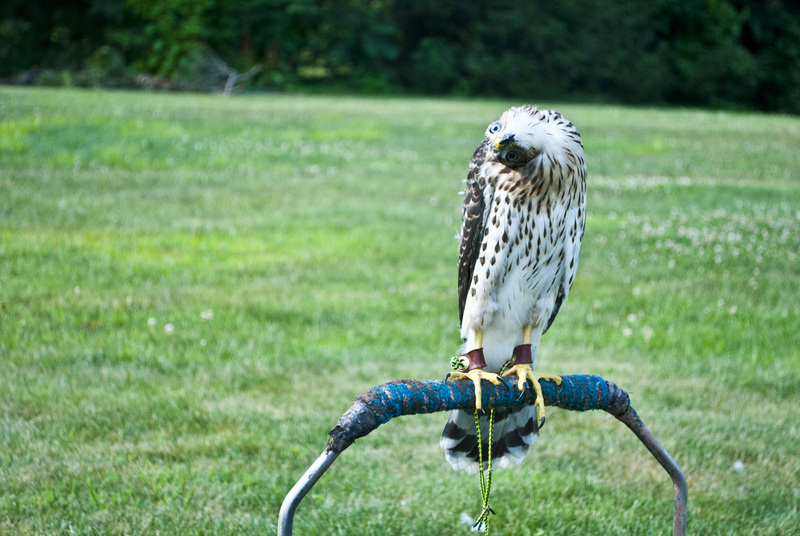 Perching and tethering equipment is an important aspect of falconry. Even if you free loft (don’t tether the bird in it’s mews), there will always be times where a perch or tethering gear is required. Its proper use is vital to the safety and well-being of your bird. On this page we will cover tethering gear, swivels, perch types, and their traditional uses. The birds safety from outside environmental events like other raptors, cats, dogs, people. The ability for a bird to have broken equipment that permits the bird to break free and take off.